Weekend Roundup ~ “K” | The Happy Wonderer ~ ellen b. Starts with K: Our daughter Katie and her Knight in shining armor. A favorite: Our kids on a shore of Lake Roosevelt with the city of Kettle Falls across the lake. 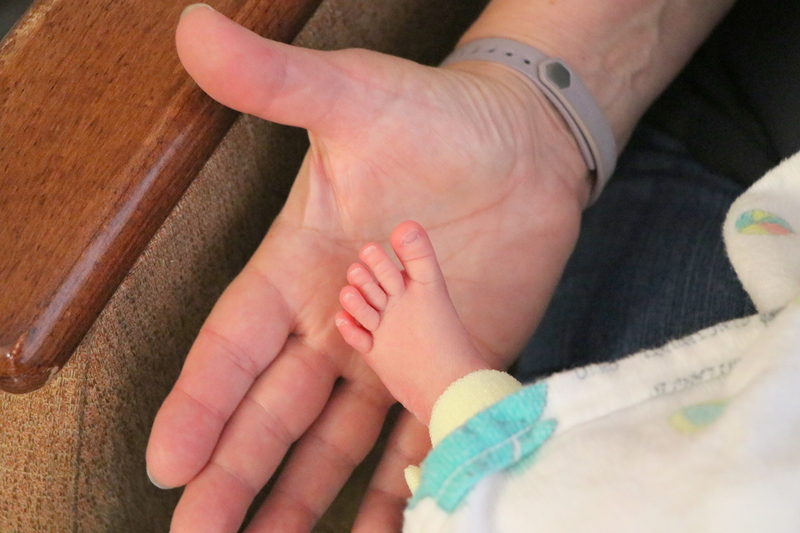 King Size: King size hand next to that newborn foot. 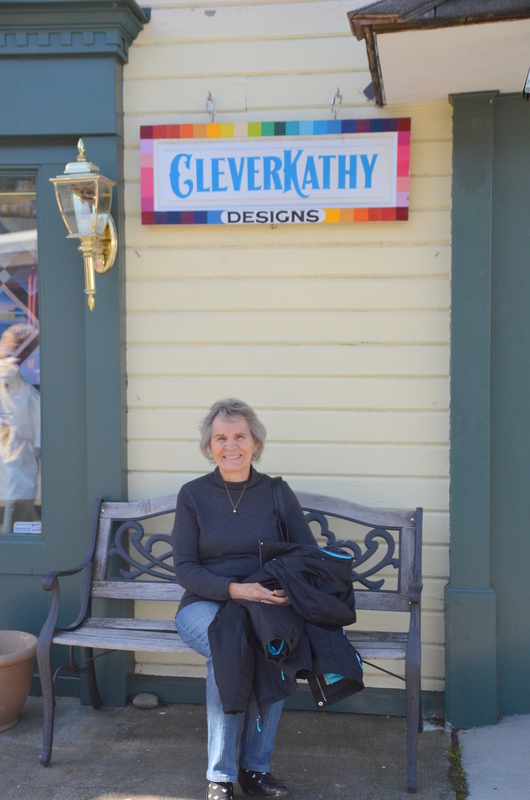 Parting shot: My oldest sister, Kathy, who is very clever, kind and knowledgeable. Linking up with Tom The Backroads Traveller for Weekend Roundup. Thanks Tom! 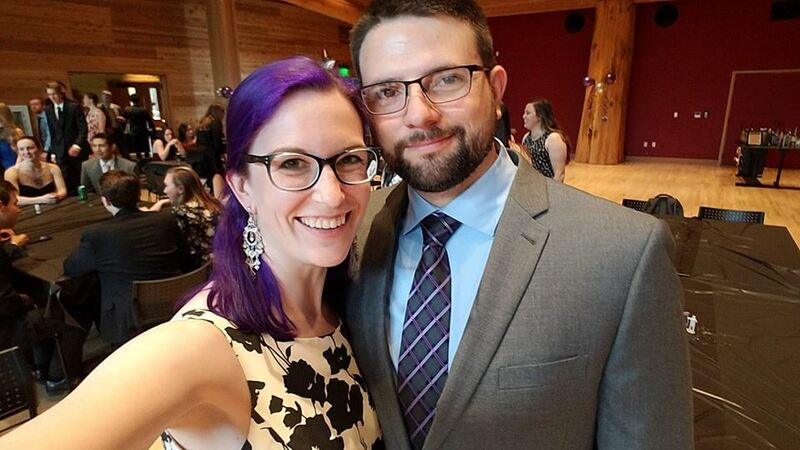 Posted on September 14, 2018 by Ellen •	This entry was posted in Family, Meme and tagged Weekend Rounup "K". Bookmark the permalink. My fav is the king-sized hand with the newborn baby foot. What a wonder is God’s creation! …how nice that ‘K’atie and her ‘K’night in shining armor. …good to have the gang all together. …but they grow SO FAST! …it nice to have a very clever, kind and knowledgeable sister. Thanks Ellen for stopping by, good luck finding internet service. Nice picture of the “K” Kids. I hope you are closer to where the live now. We moved to be closer to our “K” Kid, Karen, and her family. That’s a pretty lake and town. I enjoyed all of your “k’s”…but that King size hand next to that newborn foot was so precious. I love that sweet little foot! Lovely to see all the family images but my favourite is the tiny foot on the hand. Have a great weekend. A lovely set of photos for K. I like the one of your sister with the sign above! 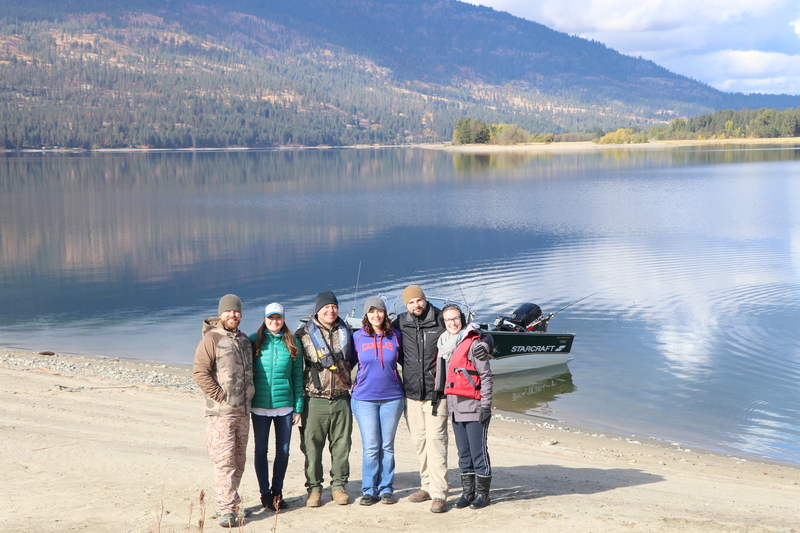 You have quite a few ‘K’s in your family and I love the photo of the group by the lake. What a lovely view across to Kettle Falls! The photo of the newborn foot is delightful. Hello, wonderful shots of your family. I love the sweet baby foot. The view of the lake is beautiful. Enjoy your day and weekend! Love Katie’s colorful hair! Wish I had the nerve to try it. 🙂 My favorite is that cute little baby foot next to a king sized hand. Have a wonderful weekend! I always love these posts. It always amazing me how you come up with so many clever and beautiful picture that capture the thoughts. Love you sister. Lovely shots, Ellen; each one a little bit special..? Katie and her Knight are a lovely couple indeed! What a contrast between the grownup and the newborn – King size hands (comparatively) are so loving and gentle to the beautiful baby!